Like fresh-baked cookies? Want to have them at the touch of your fingertips at any given time? Then these are for you. Now I’m not the biggest dessert person in the world – the savory part of the meal is my favorite and I tend not to leave space for dessert. However, like every other self-respecting foodie in the world my ears perk up at the mention of the holy combination of chocolate and peanut butter. 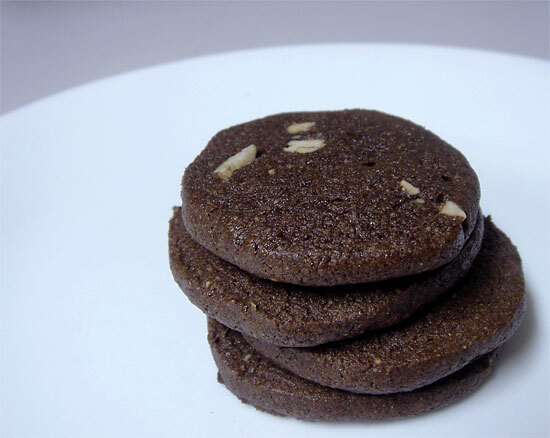 These chocolate and peanut butter cookies are nutritious and delicious. 1. Combine flour, cocoa powder, baking soda and salt in a medium bowl. Remember to lightly spoon the flour into the measuring cup and use a knife to level it off. In large bowl, mix the butter spread and peanut butter until well mixed and fluffy. Add in the sugars and mix until well blended. Add vanilla and egg white and mix well. Stir in the flour mixture until a nice even dough is formed. 2. Place the dough on a sheet of wax paper and shape into a log about 6-8 inches long. Roll up the wax paper and roll the log around to get it more evenly rounded. Freeze for at least 3 hours or up to several months. 3. When you feel like some cookies, preheat the oven to 350 degrees. Place some tinfoil on a baking sheet (easy clean up) and spray with cooking spray. Take the log out of the freezer and cut a few 1/4 inch thick slices (as many as you think you’ll want plus 1), turning the log after each cut to prevent the bottom from flattening. Place on baking sheet about 1 inch apart and bake for 9-11 minutes. Remove pan from oven and let sit for about 5 minutes. Cookies should be crispy on the outside and perfectly chewy on the inside. Be sure to dip them in a glass of your favorite milk. With all of the cookies that I bake I have never made slice and bake cookies! I really should give them a try! These cookies look amazing! I’m not sure I wouldn’t make the whole batch at once. :) I have no self control! Wow these look great! Once my friends and family are done with all my treats I made last week, these will be next on my list! :) thanks for a great recipe! Yummo! About how many cookies would you say this recipe makes? BakingBlonde, I’d never thought of it either! These are absolutely perfect and the freeeze/cut/refreeze method has been working flawlessly! Dragon, I agree! These are the perfect solution for people like us. They’re just enough work (turning on the oven and waiting) that you won’t go back for seconds or sixths but they’re easy enough for dessert every night! mkt610, Let me know how they are! Kati, Thanks for asking, the answer is about 24 cookies and I’ve edited the post to reflect that. These look amazing!!! Simply amazing! You know, this is great idea. So you don’t need to thaw the cookies before baking? That’s so cool. oh man, these cookies look delicious! i really need to give them a try! Oooh, those look sinfully good – yum!! I really need to make these so I can bake them anytime when I’m studying. These were great! My husband and I just tried em warm out of the oven :) He liked em! And I love that you can just bake a couple at a time. Thanks for the great recipe! Dee, Nope, not at all! It’s a great thing to have on hand. Carla, They are great for helping you focus, especially if you reward yourself midway through a good study session! Caviar & Codfish, Haha, it is such a great and simple solution to the gorging effect. Those cookies look good. Another excuse to combine peanut butter and chocolate. They look terrific. Choc n peanut butter=lethal combination! These are amazing! They look absolutely wonderful. OH.. and YUM! They’re not any healthier than regular cookies–too much carbohydrate/sugars, but they look rather convenient and yummy for once in awhile treats. Jess, They’re actually quite a bit healthier than regular cookies. They combine solid whole grains with some pure anti-oxidant rich cocoa powder and healthy fats. Also, when you figure that each cookie only has 1t sugar, and considering most people use 2t sugar in each cup of coffee, it’s not too bad for a cookie! I do know quite a bit about nutrition and while sugar is never considered healthy, how is the added sugar in 85% dark chocolate any different than the added sugars in say a dark chocolate cookie (assuming the grams of sugar are equal)? Thanks for the insight though – added sugars are never a good thing but if you want a cookie and not a piece of chocolate these aren’t too bad at all. 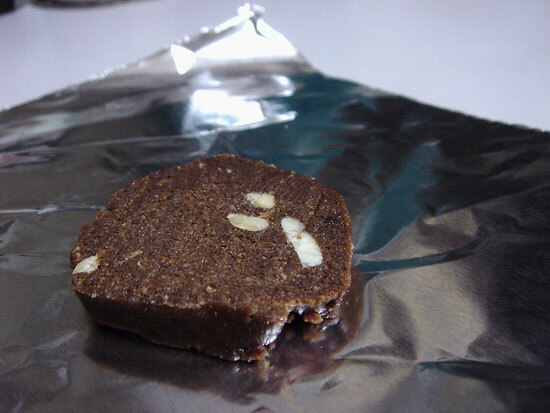 The grams of sugar in one of those cookies would not come close to the 2.5 grams of sugar in one square of extra dark chocolate, which is pretty much all you need since it’s so wonderfully intense. And by sugar I mean carbs. Grains are quite carby and highly processed. Any carbohydrate you ingest is processed by your body like sugar, fyi. Peanut butter is so good because it’s naturally low carb and high in protein and satisfying fat! I do get a fair inspiration from your recipes. Loved the cream cheese, in which I used xylitol and stevia for a touch of sweetness. Fabulous! For the gluton intolerant and vegans of the house, we used potato flour. Replaced egg white with chia andbutter with apple sauce. Oh, and organic raw cane sugar (actually need less). Everyone happy and loves. Thanks. Good idea, thanks Lu! I’m gluten-free now actually, so that’s great to know!